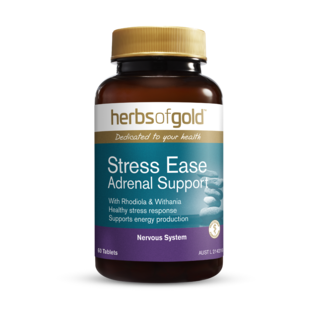 Herbs of Gold Stress Ease Adrenal Support contains the class of herbs known as adaptogens, these promote resistance to stress and help to maintain normal body functioning during stress. 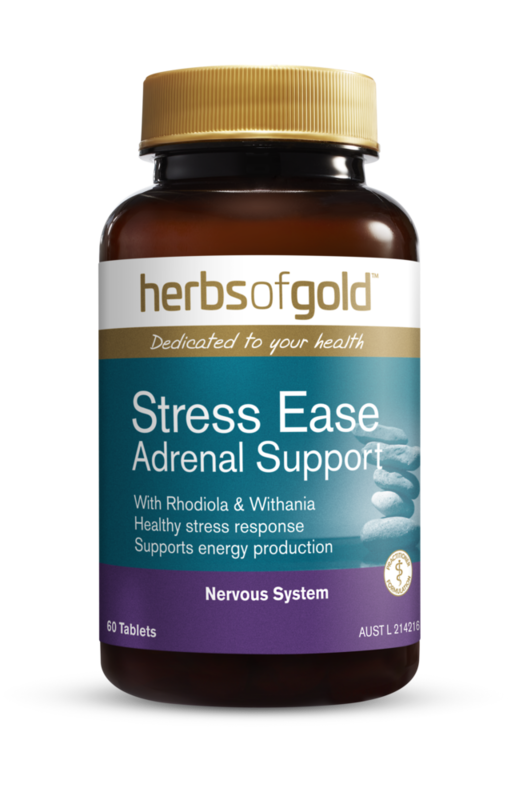 I find that the herb has helped me in different ways sleeping better, more calm. Thank you.